Historic. Supersonic. Near space flight. 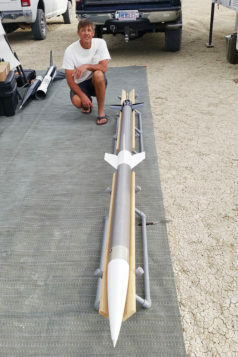 Curt von Delius’ high-power rocketry project, PHX4 200000, is that and more. 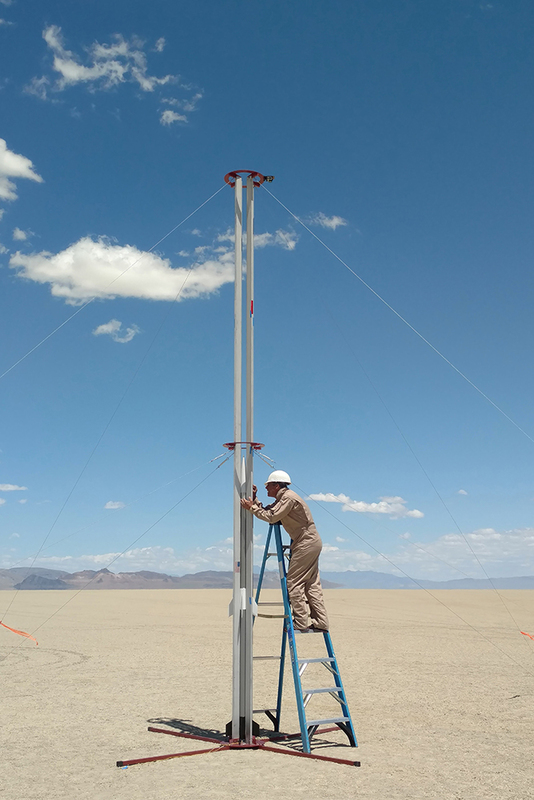 The mission launched June 16, 2018, from an austere, “in the middle of nowhere” site in the Black Rock Desert located in northwestern Nevada. Von Delius’ two-stage PHX4 rocket attained an altitude of 244,000 feet, easily overshadowing the previous record of 120,000 feet for an amateur, two-stage rocket. The max speed of Mach 3.53 is compared to a high-velocity rifle bullet. This type of launch classification also required military approval and permits. After a first attempt at rocket launching failed, Curt was ready to take a break. 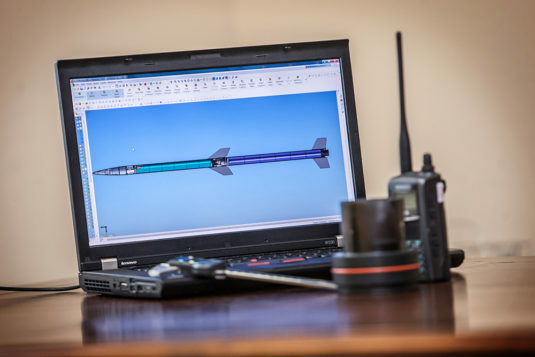 A friend, “another rocket guy,” pushed him forward to continue his quest and supported the project with funding. 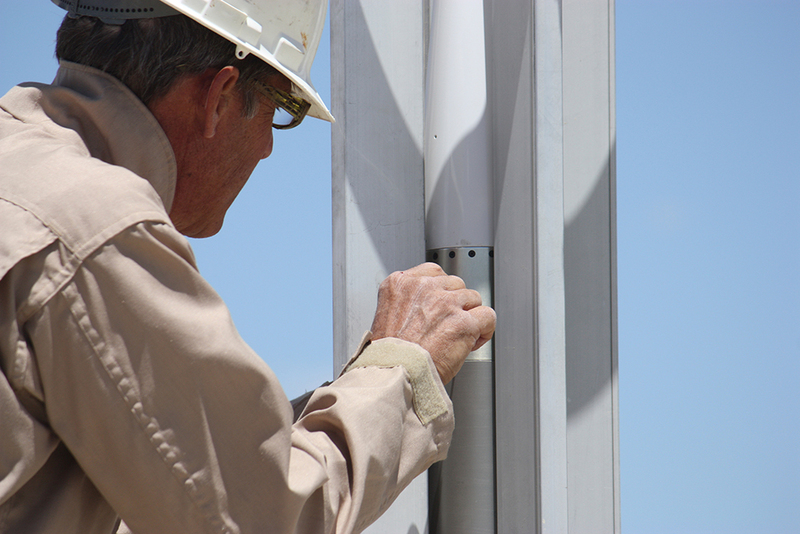 It took five years of research, testing and construction to build the PHX4. The entire project, including design and components, was completed at his Maricopa home, in the garage. 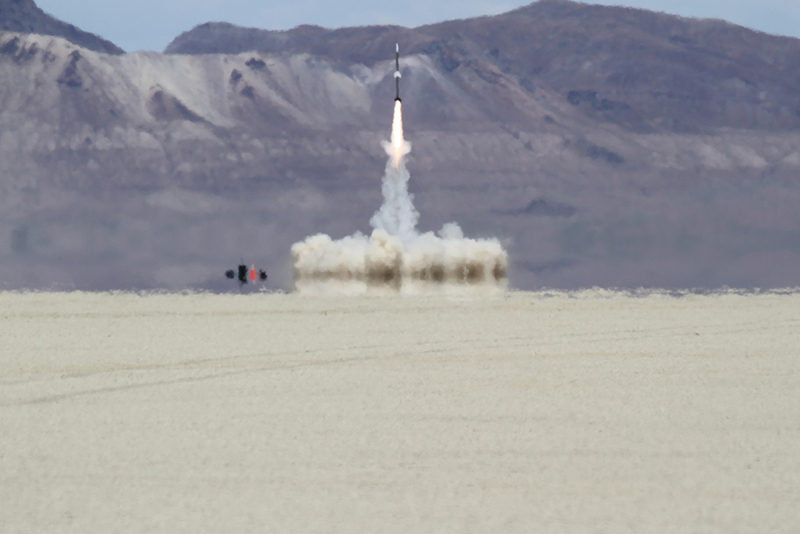 The rocket traveled 3.5 times the speed of sound and coasted to 46 miles above sea level. A camera onboard the spinning vehicle captured the curvature of Earth’s horizon. It touched down more than 6 miles away. 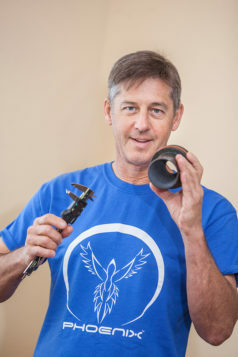 Curt von Delius was born in Hollywood, California, and grew up in Montana and Washington state. He also lived in Hawaii. Daniels was born in Southern California. She traveled to Washington state to learn to become a pilot. She met Curt, also a pilot, in 1989, when they flew single-engine aircraft and gliders together. They soon became a team and complemented each other’s dreams and goals. They lived in Seattle and Port Townsend where he learned traditional boat building, being inspired by an 1893 Kingston Lobster boat. Curt von Delius preps his rocket launcher for the big day in Nevada. His work resulted in an altitude gain of 244,000 feet. They decided to move to Lake Tahoe, where Curt began building high-end houses and Monica worked in property management. In 2005 they left their businesses and semi-retired. They moved to Maricopa and settled in Province to escape the long winters in Tahoe. Always the adventurer, von Delius was triggered to return to water skiing, another great love. He was active in tournament slalom at Firebird Lake by the racetrack in Chandler. There, he made a friend who introduced him to the world of rockets – the most challenging objects to build and a quantum leap into design and engineering. Von Delius became hooked and began studying NASA publications, technical theses and using his native inventive wisdom. The rest is history. 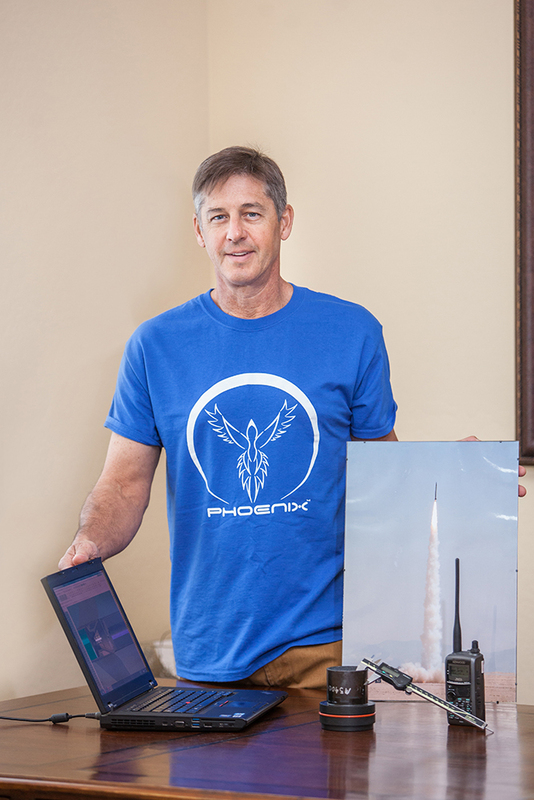 “The PHX4 Project was successful – I dreamed it, designed it, built it and moved beyond the challenges and obstacles of the launch. 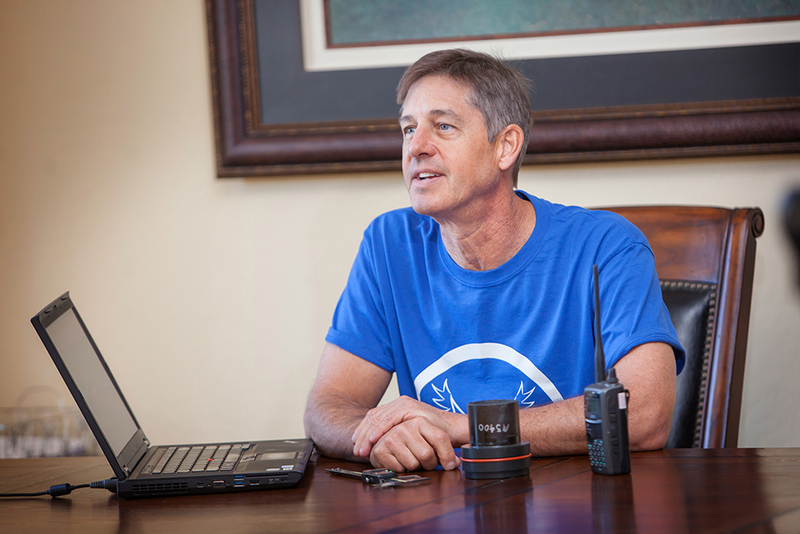 I met and exceeded my expectations,” von Delius said.